Across the globe, billions of dollars are spent annually on repairing ecosystems damaged by people. Forests denuded by logging. Rivers polluted by industry. Grasslands converted to agriculture. A new meta-analysis of 400 studies that document recovery from such large-scale disturbances worldwide suggests that while ecosystems can bounce back, they rarely mend completely, with the final stages of recovery being most difficult. Surprisingly, the new study also found that more costly active restoration efforts did not consistently result in faster or more complete recovery. 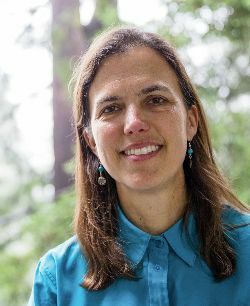 Coauthor Karen Holl, a professor of environmental studies at UC Santa Cruz and a leading expert in the field of restoration ecology, said the findings are a call to action to researchers. "A lot of money is being spent on restoration, but often not a lot of thought goes into how it's being done," said Holl, who oversees one of the longest-running, large-scale tropical-forest restoration projects in the world. "We need to think about how well ecosystems recover on their own, and then use that information to design restoration strategies that are tailored to the ecosystem." "People like to plant trees, but that’s not always the best restoration strategy," said Holl. "As always, we need better science to be able to use resources most effectively." Lead author Holly Jones, who holds a joint appointment with Northern Illinois University’s Department of Biological Sciences and the university’s Institute for the Study of the Environment, Sustainability and Energy, echoed Holl. "Our study suggests that, in many cases, once damaging activities are halted, the most economically expedient restoration strategy might be to let ecosystems repair themselves," said Jones, who led a team of researchers from five countries on the study, published today (February 28) in Proceedings of the Royal Society B. Jones earned a B.S. with a double major in marine biology and ecology and evolutionary biology from UC Santa Cruz in 2003 and was a visiting postdoctoral scholar from 2010-12. “Our findings do not diminish the importance of active restoration efforts but instead suggest they can be planned more judiciously to maximize gains per dollar spent,” added Jones. The science of ecological restoration is relatively young but important. Finding the best way to repair disturbed or damaged ecosystems is critical to stemming the biodiversity crisis. Every day, the planet’s biodiversity is being lost at up to 1,000 times the natural rate, according to the Red List of Threatened Species compiled by the International Union for Conservation of Nature. Not to be confused with a do-nothing approach, passive recovery involves putting a halt to damaging practices or disturbances, such as removing dams that fragment rivers or stopping the practice of logging and grazing forests. Active restoration often follows, such as stabilizing riverbanks or planting trees in deforested areas. “When feasible, passive recovery should be considered as a first option,” Jones said. “Nature may not need much help after we stop degrading activities. If recovery is slow, then active restoration actions should be tailored to overcome specific obstacles. “If we can focus only on systems that do get a significant added benefit, we can allocate restoration dollars more effectively and restore more ecosystems that truly need it,” she added. Because of its broad-brush scale, the meta-analysis likely failed to detect some instances where active restoration is speeding up recovery. Coastal prairie in California, for example, absolutely requires active restoration, Holl said. The meta-analysis looked specifically at the outcomes of only two critical goals: accelerating ecosystem recovery and achieving more complete recovery. Restoration efforts, however, could be making strides toward unstudied goals that are important to local stakeholders, such as creating greenways, floodplain or urban gardens. Holl said the new study results should be interpreted cautiously for other reasons as well. Site managers could be choosing to perform restoration on more difficult sites, such as forests that have experienced clear cutting rather than selective harvesting of only a proportion of trees. Also, less than 5 percent of past studies from the literature compared active restoration to passive recovery within the same damaged site. To compensate, the researchers created a second, much larger data set, comparing recovery rates and completeness among different locations that experienced either active restoration or passive recovery. The two data sets yielded similar results. The researchers identified positive recovery rates in all actively restored and passively recovering sites once damaging activities ceased, which means disturbed systems are regaining some of their biodiversity and ecosystem functionality. Most recovery rates were between 1 percent and 10 percent recovery per year, with rates consistently slowing over time. The study authors cannot say for certain why restoration isn’t resulting in faster or more complete recovery. To identify where and when restoration will be most effective in the future, they recommend that restoration practitioners build formal or informal experimentation into their designs, directly comparing passive recovery with one or more active restoration approaches. Jones said the study also underscores the necessity of preserving untouched ecosystems.